Meeting daily demands in production, retail and delivery services relies on a combination of efficient processing and accurate data recording. Dispatching and receiving deliveries, whether large or small, can make up a huge part of the daily workload, and even minor errors can lead to wasted time and energy and can put production, revenue and customer satisfaction at risk. Optimise your industrial equipment with professional parcel scales, to accurately read and record your daily deliveries. No matter how advanced our digital universe becomes, physical weight measurement remains a standard task in industries the world over. Our range of parcel scales from Steinberg Systems combines this age-old science with modern craftsmanship and digital technology, giving you weight readings with an accuracy of as little as 1g. Our parcel scales are the ideal tool for post-offices, retailers, e-commerce businesses, factories, and warehouses: any business that relies on daily deliveries whether incoming or outgoing. To weigh parcels accurately and control the receipt or dispatch of deliveries, a parcel scales is the perfect companion. Depending on your business needs, our selection of parcel scales features a range of maximum load capacities, from 40kg to 200kg. For retailers processing small or medium parcels, our cheapest model of parcel scales has a maximum load capacity of 40kg and an accuracy of 1g, making it extremely precise. With a diverse range of unit options (kg, g, lb, oz) and functions such as TARE and HOLD, this battery-operated parcel scales is multifunctional and intuitive (AC/DC adaptor also included). Its LCD display, hardened plastic surface and ergonomic coiled chord make it robust and easy to use. For larger packages, our strongest scales has a maximum load of 200kg and an accuracy of 100g. The sleek, compact scales has a generous weighing surface of 21.5 x 17.5 made of robust stainless steel making it hardwearing, long-lasting and ideal for large or awkwardly shaped packages. Its non-slip rubber feet make it easy to operate on any surface, and its LCD display makes for easy and accurate reading, even in poor lighting conditions. 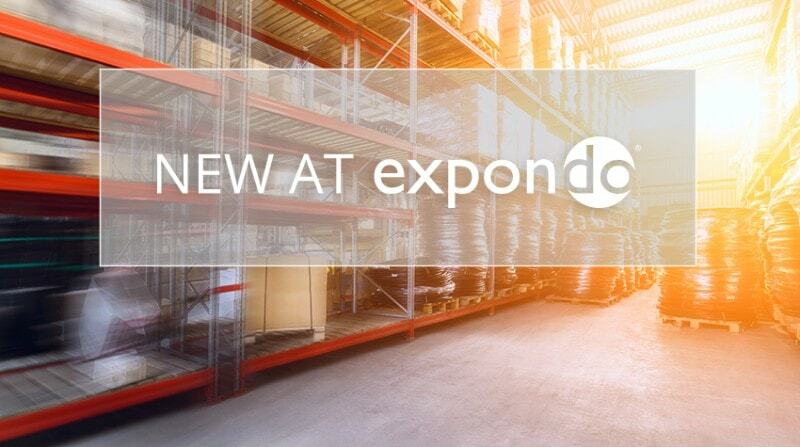 At Expondo, we aim to supply industrial equipment and craft supplies that offer great return on investment, and make your workspace more safe and efficient by taking the burden out of manual tasks. As well as parcel scales, you’ll find a diverse range of weighing solutions for laboratories and construction industries and more, in our full range of professional scales. Our crane scales with a maximum load capacity of 10t are ideal for construction sites and factories for weighing heavy loads of materials such as bricks and lumber. Our full range of floor scales are extremely robust and are ideal for weighing large bulk items of up to 3t. Our digital precision scales have an accuracy of as little as 0.01g, and are perfect for extremely precise measurements in laboratories, where even the slightest error in weight measurement can lead to repeated workloads and can even be hazardous to your staff. For restaurants and bakeries, why not add a digital table scales to your range of catering equipment? Our table scales suit kitchens large and small with their compact size and their easy-to-clean stainless steel exterior that makes them ideal for maintaining food safety regulations. And for offices and postal units, our range of letter scales are ideal for day-to-day letters, company newsletters, and other flat packages such as catalogues and magazines. From precision scales and parcel scales right up to robust crane scales, upgrade your delivery system today to save time, avoid errors, and ensure long-term customer satisfaction. Meeting daily demands in production, retail and delivery services relies on a combination of efficient processing and accurate data recording. Dispatching and receiving deliveries, whether large or small, can make up a huge part of the daily workload, and even minor errors can lead to wasted time and energy and can put production, revenue and customer satisfaction at risk. Optimise your industrial equipment with professional parcel scales, to accurately read and record your daily deliveries.